As Tyson Fury proved in the twelfth round of his clash with Deontay Wilder, no sport does drama like boxing at its best. Below we pick out FIVE things from the past year which stick out for us. 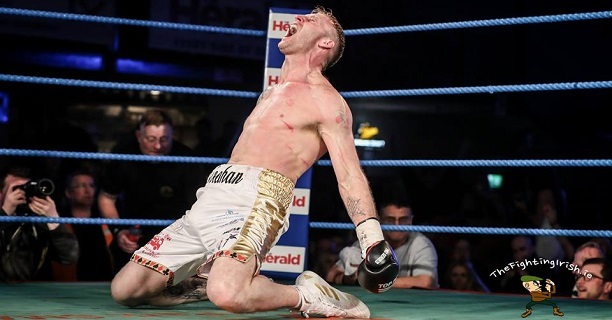 Forget for a second all that went on afterwards, Sheahan’s Last Man Standing win, live on TG4, was incredible. Following three years away from the sport and one four-round win for licencing requirements, the Athy middleweight entered the Prizefighter-tournament and out-fought Vlad Belujsky, out-boxed JJ McDonagh, and then sensationally stopped Jack Cullen to claim the top prize as a star was born in front of our eyes. Making a long-awaited Irish homecoming, Conlan headlined the SSE Odyssey Arena in a major step-up versus Adeilson Dos Santos. A party atmosphere, the Belfast feather made an entrance that went viral online. Walking in to a version of ‘Grace’ by Róisín O and Aoife Scott, Conlan promoted an epic sing-along before transitioning into Kanye West’s Homecoming. The match-up was a non-entity but August 18th was a special night nonetheless for Frampton. Headlining Windsor Park football stadium, the Belfast feather did what even he couldn’t have dreamt of as a boy. Walking to ring to ‘Freed From Desire’ (‘Frampton’s on Fire’), Frampton entered as swirling spotlights illuminated the sheets of rain which poured down but failed to dampen the atmosphere in a capacity crowd of over 20,000. #SweetCaroline rings around The National Stadium at Windsor Park in #Belfast as 25,000 flock to see the capital’s biggest ever boxing fight card headlined by @RealCFrampton vs @LukeJackson. The Dublin lightweight joined a select group when she took gold at the World Championships in New Delhi following a week of sensational performances in Italy that underlined her quality and Olympic potential. Harrington’s shock at the realisation that she has become a world champion and her momentary check to see if she was indeed in the ‘blue’ corner while Zauri Antia and Dmitry Dmitruk go wild is a particularly nice moment.